Parasoft’s software testing solutions support the entire software development process, from when the developer writes the first line of code all the way through unit and functional testing, to performance and security testing, leveraging service virtualization along the way. Parasoft's unique analytics platform aggregates data from across all testing practices, providing insights up and down the testing pyramid to enable organizations to succeed in today's most strategic development initiatives, including Agile/DevOps, Continuous Testing, and the complexities of IoT. Parasoft’s automated software testing innovations fuel software development organizations, helping teams reduce the time, cost, and effort of delivering high-quality software to the market. Experitest is a Microsoft Bizspark partner. SeeTest plugs into Visual Studio MSTest extending its testing capabilities to mobile phones (iPhone, Android, WindowsMobile, Symbian & Blackberry). SOCOC is the IT services leader in software analysis and measurement in China. SOCOC introduces demand-based software quality assessment into web based and mobile application development and sourcing, transforming it into a management discipline. It helps local application outsourcing to produce and certify high-quality business applications based on universally-accepted software quality standards. SOCOC offers a Software Quality Assessment and Auditing (SQA) Services Laboratory which provides tools and methods for assessing and improving desktop and mobile software quality at various stages of development. Hexaware is a global provider of IT and process outsourcing services. They focus exclusively on maximizing client returns from outsourcing and off-shoring. They have extensive experience in managing large IT applications in real time as well as in providing high value services around packaged enterprise applications such as SAP and PeopleSoft. Hexaware has a client base comprising several Global 1000 organizations. Their commitment is to provide solutions that translate into tangible business outcomes for their customers. Their 'partner-in-business' approach generates high business value for customers and rich dividends to Hexaware in the form of a continual stream of repeat business. Cognizant Quality Engineering & Assurance is an independent business unit within Cognizant (NASDAQ: CTSH), offering a comprehensive suite of assurance services spanning QA consulting, quality engineering, environment management, and digital QA. With the establishment of this business unit in 2001, Cognizant pioneered the concept of a practice dedicated to independent verification and validation. Since then, the practice has grown organically to more than 31,000 professionals, making it one of the world's largest providers of QA services. Today, more than 650 global, regional and local enterprises trust Cognizant QE&A with their QA needs. Orchestra Technology provides a unique portfolio of products and services to serve the telecommunications industry, and believes in making its customers successful by applying a wealth of experience, passion, innovative spirit, and agility to address their needs. Orchestra Technology's professional services portfolio includes training, technology consulting, test and automation, OSS, and mobile applications software and support. RapidValue is a complete mobile application solutions provider. They have a dedicated Testing team that supplements the mobile application development needs of enterprises across domains. They have an extensive device lab that supports Automated & Manual testing. They are experts in Functional & Non Functional Testing, their testing services span across Security & Compliance Testing, Integration Testing, Performance Testing, Localization(L10 N), Usability & GUI testing. C2L2 is a reseller of Experitest products in France. C2L2 is a service and consulting company that specializes in quality, optimization and monitoring of information systems. Among its solutions are Performance Testing Software (such as HP LoadRunner and HP Performance Center), Functional Testing Software (such as QTP and Quality Center), data security and diagnostic software. Lemontree provides solutions within integration, ECM, e-archive and quality management. Lemontree's concept is to create the most attractive offerings by combining world-class products from their partners with cutting-edge expertise in technology and market. Lemontree also offers consultancy services focused on strategy and information technology. Lemontrees customers are primarily actors within telecom, public sector, insurance and finance. The company was founded in 1999 and has its headquarters in Stockholm, Sweden and a subsidiary in Oslo, Norway. CORRSE is a dynamic company focusing on delivering software engineering services. CORRSE core business is focused on quality assurance, software development life-cycle and tools implementation. CORRSE is a leader in mobile testing in the Polish market and completed successful implementation in leading banks. Cigniti is the world's third-largest independent software-testing services company, delivering quality software to accelerate testing for improved time to market for its clients. Its state of the art tool and technology agnostic test labs offer 'on demand' access for key services such as core testing, test automation, performance testing, mobile testing, robotics testing and security testing. Testhouse is an IT consultancy specializing in software quality and IT risk mitigation. Providing managed testing services to large organizations such as Easyjet, Vodafone, Barclays, Phones4U and TFL to name a few. Working closely with their clients, they help to optimize their testing processes increasing both the quality of the software produced and their world-class test delivery. QAssure Technologies focuses on functional, load and security testing for enterprise applications and mobile applications. They are the experts in the fields like financial (banking and insurance), telecommunications, education and public sector. They aim to partner with our clients to undertake testing as skilled, relevant, essential basis towards the production of faster, better, and less expensive software products. Founded in 2007, Linksoft is a professional distributor and reseller in Taiwan and China. As a professional software provider, Linksoft cooperates with global outstanding IT industries, reselling thousands of software includes Statistical Analysis, Development Program, Database Management, Network Security, Design and Edit software. Linksoft cultivates its mature service along Commercial, Government, Academic and Home users, with more than 500,000 customers in Asia. Working for customer-oriented, Linksoft provides in time product information and decent first-line support to overcome the difficulties caused by long distance and different time zones. Linksoft aims at becoming a competent software distributor, evolving the valued service to meet customers demand and expanding the interconnected global businesses. TrendIC provides software and services solutions for the testing, monitoring and analysis of your business process automation. With TrendIC software your IT organization remains stable in times of change, from test environment to production environment. With the tools of TrendIC you monitor your applications and IT infrastructure, create performance analyzes, manage the current and future requirements of your IT components and test your applications. TrendIC is reseller of software tools in the Benelux region. For Sightline, the tool for real-time monitoring operations , we act as a distributor in Europe, Middle East, Africa, Asia and the Pacific. Our clients are medium to large companies in the financial sector, healthcare, public sector, government and telecommunications. Geographical coverage: Germany, Switzerland & Austria. Sienersoft provides their customers with the full range of available software as a one stop purchasing point easing operation costs for the purchasing department. proficom develops quality management and testing solutions for the benefit of their customers. They specialize in solutions for application management, IT processes and IT security architecture. Founded in 2000 with headquarters in Dresden, proficom has a staff of over 120 employees. Additional offices are in Berlin, Munich and Frankfurt.Since 2007 proficom has been an HP Software Business Partner. Established in 1995, iLAB is a leader in software quality assurance and testing. Our global solutions to our clients offer a comprehensive and integrated service portfolio which has led to 100% customer retention rate. Our solutions are deployed through our unique best-of-breed methodologies and tools, underpinned by our international skills base and proven competencies. We provide quality assurance and testing services across a wide range of industries and systems. Gallop Solutions is a 10 year old, US based Colocated Independent Software Testing Services & Specialist QA Staffing Services Company with offices in Dallas and Philadelphia. Our services are backed by Proprietary Testing IP (Enterprise Test Acceleration Suite - ETAS) for enhanced productivity and in-house R&D teams. We are a 100% subsidiary of Cigniti Technologies, World's 3rd largest independent software testing services company. UST Global is a leading provider of end-to-end IT Services and Solutions for Global 1000 companies.Headquartered in Aliso Viejo, California, UST Global has operations in USA, India, Mexico, Spain, UK,Malaysia, Philippines, and Singapore. UST Global is a technology leader with profound domain expertise across the following industries: Healthcare & Insurance, Retail, Financial Services, Transportation &Logistics, Manufacturing & Automotive, Telecommunication and Media & Entertainment. By focusing on the business model of 'fewer CLIENTS, more ATTENTION', UST Global strives for excellence in providing their clients with the best service and commitment to long-term client success. With 14,000 employees,UST Global's growth and clientele have been impressive. Blackstone Technology Group is a global IT services and business consulting firm founded in 1998. Our mission is to implement innovative IT and business process solutions that help our clients address industry challenges, achieve cost containment, and transform their business models within their respective commercial and public service marketplaces. Blackstone has garnered an impressive track record of delivering successful results, with a noteworthy client list that includes many Fortune 1000 businesses and US Federal Government and California State Agencies. Geographical coverage: US market and Latin America. Abstracta is a company fully dedicated to testing and risk control of the development and releasing of production quality software. For nearly a decade, Abstracta has been building and commercializing automation tools for clients worldwide. It offers to its clients a team of testing specialists with renowned experience in the most demanding markets such as USA, Japan and Europe. It invests in R+D+i developing its own tools and collaborating with the development of popular open source toolsets. Abstracta was founded by PhDs in testing and University professors who are experts in improving performance and security of software applications. Through a deep analysis, they identify the key problems to solve and evaluate which is the best tool to use for testing. Abstracta has strong experience in using open source and popular tools, and builds custom tools for its clients, if necessary. Among its clients it has one of the largest European financial Institutions, BBVA, and large technology companies such as GeneXus. Marlabs helps drive digital agility for our clients. We deliver innovative business solutions using digital technologies such as cloud, mobile, analytics, Internet of Things, and social. With a dedicated team of over 2,100 associates, a network of delivery centers in USA, Canada, Mexico, and India, and strong partnerships with industry leaders, Marlabs offers a wide range of IT services across industries. Through our emphasis on quality driven by CMMi, PCMM, ISO 9001- 2000, ISO 27001, and SSAE 16 Type II best practices and a customer- centric client engagement model, Marlabs has achieved a dependable track record of meeting high standards of excellence in every customer engagement. This has resulted in several awards and recognitions, including being consistently ranked as one of the best places to work in New Jersey. Marlabs is headquartered in New Jersey, United States. Qing Xin Technology was established in 2010 , Branches located in Taipei Neihu Science Park, the consultant team has years of experience in software sales and technical integration services. We are committed to providing customers with system performance verification , network systems and applications management , cloud automation and information security, build , maintenance and consulting of value-added services to help you optimize IT operations . 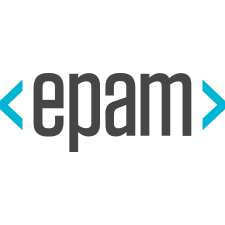 Established in 1993, EPAM Systems, Inc. (NYSE: EPAM) is recognized as a leader in software product development by independent research agencies. Headquartered in the United States, EPAM serves clients worldwide utilizing its award-winning global delivery platform and its locations in over 20 countries across North America, Europe, Asia and Australia. EPAM was ranked #6 in 2013 America's 25 Fastest-Growing Tech Companies and #3 in 2014 America's Best Small Companies lists by Forbes Magazine. RPerformance is a leading IT and Quality Assurance services provider founded in 2005, with two delivery centers strategically located in São Paulo and Rio de Janeiro, as well as business offices located in Curitiba, Florida (US) and Madrid (Spain). We deliver value across organizations offering specialized IT services and solutions for software development, also counting with testing teams and applications as well as infrastructure production teams focused on application troubleshooting. We delivered services for over 100 Clients, having performed tests in more than 250 Applications and executed more than 200.000 hours in testing factory services including manual, automated, black/Gray/White Box, functional and non-functional testing (Usability, Performance and Security) and more than 100.000 hours for production troubleshooting. RPerformance supports large customers across multiple industry verticals such as Santander Bank, CitiBank, HP/Itaú Unibanco/Claro, Prodam and FNAC.Our strategic and business partners are global and leading companies including HP Software, Experitest, Kiuwan, CastSoftware and Suasum. IGATE is a global leader in providing integrated technology and operations-based solutions, headquartered in Bridgewater, New Jersey. As a trusted partner to corporations in North America, Europe and Asia Pacific, IGATE provides solutions to clients' business challenges by leveraging its technology and process capabilities, underwritten by an understanding of domain and industry imperatives. With revenues over US$ 1.2 billion, and a global employee talent capital of over 34,000, we offer productized applications and platforms that provide the necessary competitive and innovation edge to clients across industries, through a combination of speed, agility and imagination. IGATE's Verification and Validation services provide Quality Assurance and Engineering services to Fortune 1000 organizations. In mobile application testing space we provide a full spectrum of services namely functional, automation and non-functional testing on all leading platforms. Our Cloud-based offering in this space eliminates the need for clients to invest in devices / infrastructure. Syntel (Nasdaq:SYNT) is the global leader in digital modernization services, with a core suite of automation- driven IT and knowledge process services. Syntel helps global enterprises thrive in the Two-Speed World™ by building agile, efficient technology infrastructures that blend legacy business models with disruptive digital innovations. Syntel’s recursive automation platform, SyntBots®, enables clients to manage, migrate, and modernize their business and technology ecosystems. Syntel believes in a "Customer for Life" philosophy to build collaborative partnerships and creates long-term business value for its clients by investing in IP, solutions and industry-focused delivery teams with deep domain knowledge. Tech Mahindra is a specialist in digital transformation, consulting and business re-engineering solutions. We are a USD 3.5 billion company with 98,000+ professionals across 51 countries. We provide services to 674 global customers including Fortune 500 companies. Our innovative platforms and reusable assets connect across a number of technologies to deliver tangible business value to all our stakeholders. Tech Mahindra is also amongst the Fab 50 companies in Asia as per the Forbes 2014 List. We are part of the USD 16.5 billion Mahindra Group that employs more than 200,000 people in over 100 countries. Mahindra operates in the key industries that drive economic growth, enjoying a leadership position in tractors, utility vehicles, information technology, financial services and vacation ownership. 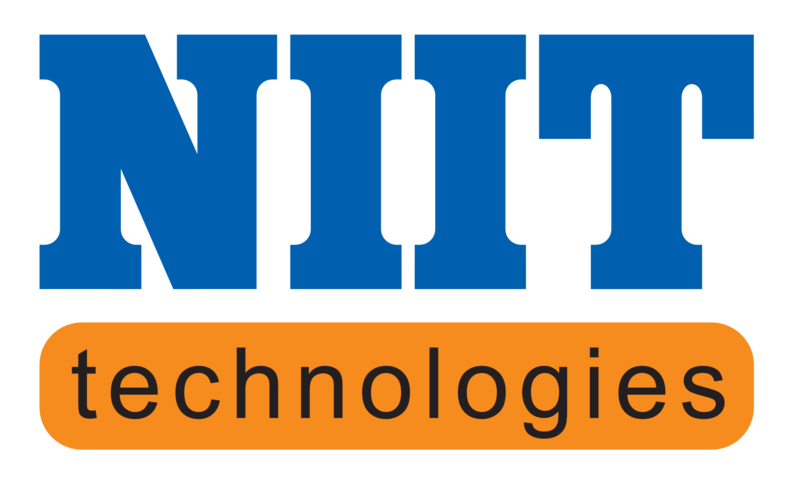 NIIT Technologies is a global IT solutions organization addressing the requirements of clients across the Americas, Europe, Middle East, Asia and Australia. The Company’s portfolio of service offerings encompasses Application Development and Maintenance, Infrastructure Managed Services, Digital Services and Business Process Management. Aligning with its strategy to ‘Focus and Differentiate’, the Company has built a robust portfolio of marquee customers in key verticals such as Travel and Transportation, Banking and Financial Services, Insurance, Manufacturing, Media and the Government. Geographical coverage: U.S, EMEA, and APAC. Simplicity is their motto. Mahathi Infotech strikes a winning balance between Global Delivery and Mutual Engineering, emphasizing on measurable deliverables and substantial client benefits. Mahathi Infotech provides business transformation services powered by sound IT strategy, cutting-edge technology solutions spanning product & custom application development, enterprise mobile & wearable testing and remote infrastructure management. Mahathi Infotech nurtures a strong partnership with their clients by collocating their 75+ associates thorough their offices in the US, Australia, India, Dubai and Philippines. QualiTest is the world’s second largest pure play software testing and QA company. Testing and QA is all that we do! We design and deliver contextualized solutions that leverage deep industry-specific understanding with technology-specific competencies and unique testing-focused assets. QualiTest delivers results by combining customer-centric business models, critical thinking and the ability to gain a profound comprehension of customers’ goals and challenges. With more than 145,000 people in over 40 countries, Capgemini is one of the world's foremost providers of consulting, technology and outsourcing services. The Group reported 2014 global revenues of EUR 10.573 billion. Together with its clients, Capgemini creates and delivers business and technology solutions that fit their needs and drive the results they want. A deeply multicultural organization, Capgemini has developed its own way of working, the Collaborative Business ExperienceTM, and draws on Rightshore®, its worldwide delivery model. Capgemini’s Global Financial Services Business Unit brings deep industry experience, innovative service offerings and next generation global delivery to serve the financial services industry. With a network of 21,000 professionals serving over 900 clients worldwide Capgemini collaborates with leading banks, insurers and capital market companies to deliver business and IT solutions and thought leadership which create tangible value. Geographical coverage: Africa and south africa. Blue Turtle Technologies provides solutions for optimising, enhancing and leveraging existing IT investment, and supporting the cost effective delivery of new technology initiatives. With experience from mainframe to desktop, Blue Turtle delivers solutions for the effective management of IT infrastructures employing innovative software products, backed by ‘best-practice’ implementation services. Blue Turtle's strategy leverages ‘best-in- class’ software products brought together from leading international and South African software providers to deliver compelling and cost effective technology management solutions to customers. HARMAN (harman.com) designs and engineers connected products and solutions for automakers, consumers and enterprises worldwide, including connected car systems; audio and visual products, enterprise automation solutions; and connected services. With leading brands including AKG®, Harman Kardon®, Infinity®, JBL®, Lexicon®, Mark Levinson® and Revel®, HARMAN is admired by audiophiles, musicians and the entertainment venues where they perform around the world. More than 25 million automobiles on the road today are equipped with HARMAN audio and connected car systems. The Company's software services power billions of mobile devices and systems that are connected, integrated and secure across all platforms, from work and home to car and mobile. 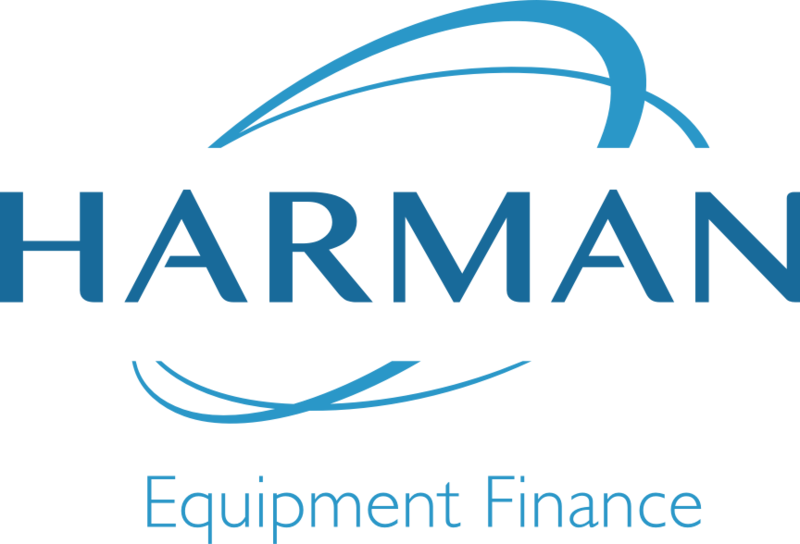 HARMAN has a workforce of approximately 27,000 people across the Americas, Europe, and Asia and reported sales of $6.2 billion during the 12 months ended June 30, 2015. Geographical coverage: North America, Europe and Asia. Founded in 2008, QAAgility is a global IT services company with focus and expertise in QA/Testing Services. Our mantra is: To bring agility and quality in testing using Innovation and Automation. To optimize the testing efforts across the entire life cycle of software development. To keep pace with your fast moving business requirements and reduce time to market. We use Shift-Left Testing, Testing Right, Testing throughout the Software Life Cycle with Business Process Driven Test Automation (BPDTA). We offer services in Manages Testing Services, niche Test Consulting, Performance Testing and Test Automation. Our script-less and machine learning based Mobile Test automation framework can help you achieve your quality goals fast with a quick RoI. Founded in 1976 as one of India's original IT garage start-ups, HCL is a pioneer of modern computing with many firsts to its credit including the introduction of the 8-bit microprocessor-based computer in 1978 well before its global peers. Today the HCL Group has presence across varied sectors that includes technology, healthcare and talent management solutions and comprises four companies - HCL Infosystems, HCL Technologies, HCL Healthcare and HCL TalentCare. The group generates annual revenues of over US$ 6.5 billion with more than 110,000 employees from 100 nationalities operating across 31 countries, including over 500 points of presence in India. Indra is one of the main global consulting and technology companies and the technological partner for the key operations of its clients' businesses throughout the world. It offers a comprehensive range of its own solutions and cutting edge services with a high added technological value, which add a unique culture that is reliable, flexible and adaptable to its clients needs. Indra is a world leader in the development of comprehensive technological solutions in fields such as Defense & Security, Transport & Traffic, Energy & Industry, Telecommunications & Media, Financial Services and Public Administrations & Healthcare. Through its Minsait unit, it provides a response to the challenges of digital transformation. In 2014 it reported revenues of 2.938 billion euros, employed 39,000 professionals, had a local presence in 46 countries, and delivered projects in more than 140 countries. Infosys is a global leader in consulting, technology, outsourcing and next-generation services. We enable clients, in more than 50 countries, to stay a step ahead of emerging business trends and outperform the competition. We help them transform and thrive in a changing world by co-creating breakthrough solutions that combine strategic insights and execution excellence. Visit www.infosys.com to see how Infosys (NYSE: INFY), with US$9.2 billion in annual revenues and 193,000+ employees, is helping enterprises renew themselves while also creating new avenues to generate value. 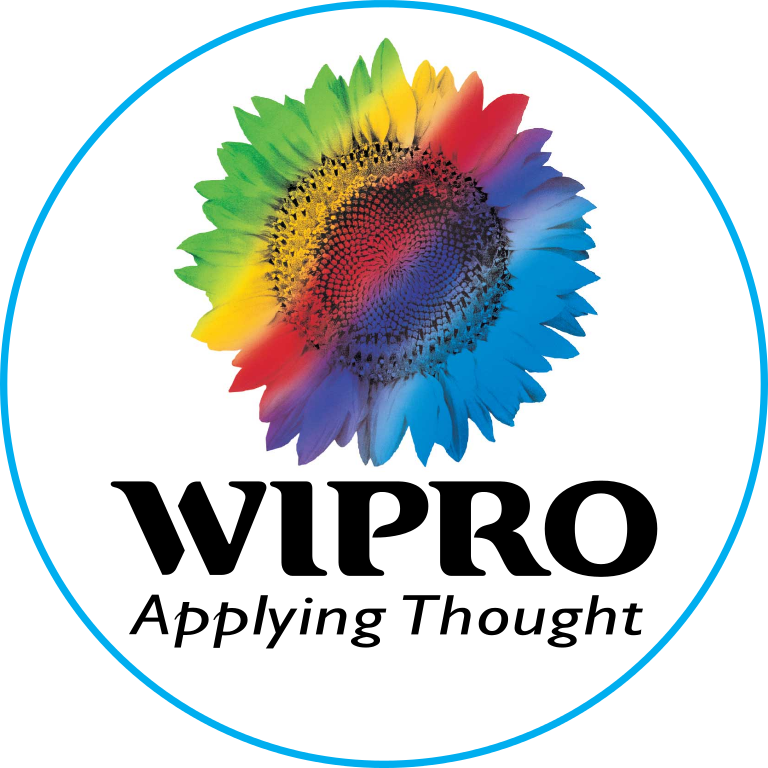 Wipro Ltd (NYSE:WIT) is a global information technology, consulting and outsourcing company with 140,000 employees serving over 900 clients in 57 countries. The company posted revenues of $7.37 billion for the financial year ending Mar 31, 2012. Wipro helps customers to do business better, leveraging their industry-wide experience, deep technology expertise, comprehensive portfolio of services and a vertically aligned business model. Their 55+ dedicated emerging technologies 'Centers of Excellence' enable them to harness the latest technology for delivering business capability to their clients.